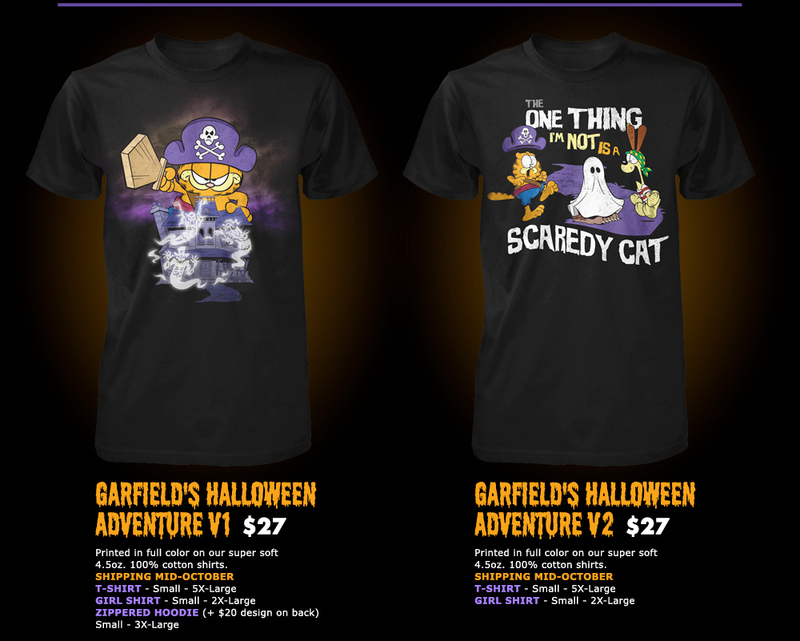 The Horror Movie BBQ: Garfield's Halloween Adventure Collection Coming From Fright-Rags! 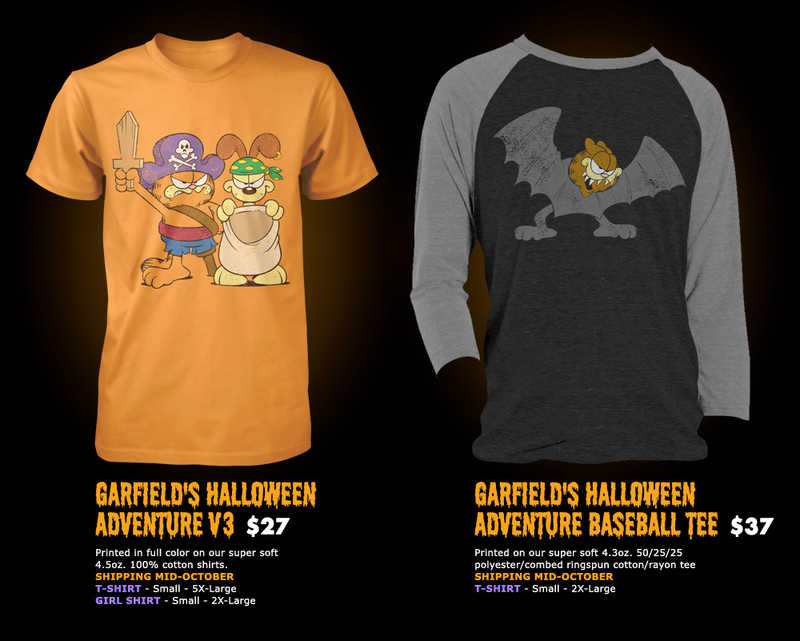 Garfield's Halloween Adventure Collection Coming From Fright-Rags! I shouldn't have to tell you how much I love the Garfield's Halloween Adventure special from 1985. I put it up there with The Great Pumpkin, which is my all time favorite Halloween special of all time. It's just a lot of fun and makes me remember a fond and innocent time when life wasn't so serious. It's a perfect companion to the Great Pumpkin and it makes for perfect Halloween viewing. The songs, the scares, the laughs. Perfection! 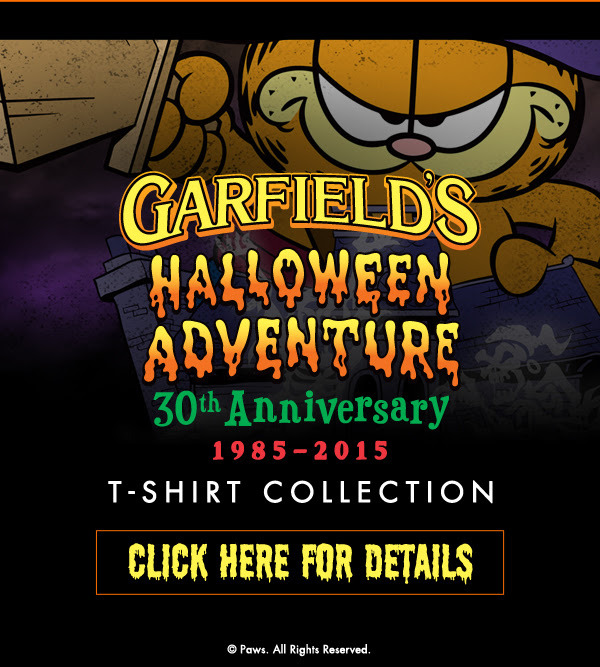 That said, it should come of no surprise at how my eyes almost bulged out when I saw on Facebook that my buddies at Fright Rags was releasing a Garfield's Halloween Adventure 30th Anniversary collection! Oh yes. The masters of horror shirts will be releasing 4 shirts(and a hoodie!) of our favorite fat cat and his canine companion, Odie, as they celebrate one of their favorite holidays. Check them out! So how about that? 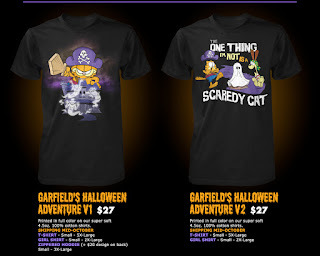 Who doesn't want a Garfield hoodie to wear while sitting around the bonfire with friends? How about a Garfield/bat baseball shirt to wear while you're laying around the couch? This collection will be perfect for any time of the year! So, starting September 23rd, you can pick these beauties up over at Fright-Rags. Order quick! I'm sure they won't last! Oh one more thing, I'm going to give you a little early treat to put in your trick or treat bag! Because you support this blog and Fright-Rags, I'm going to give you a 10% off coupon! Yes, that's right! Use the code HORRORBBQ10 for your next order over at Fright-Rags. Please note, sales/discounted items will not be eligible for this coupon code. Now go fourth, get comfy in your new Garfield gear, have some candy and enjoy the Garfield Halloween Adventure! Very cool! Which is your favorite?